Take-All Root Rot may be the cause of your discolored or patchy lawn! It’s a bird, it’s a plane…IT’S TAKE-ALL. The cool temperatures and extra rainfall during the spring months might be great for our plants, but they can also create perfect conditions for certain fungal diseases. 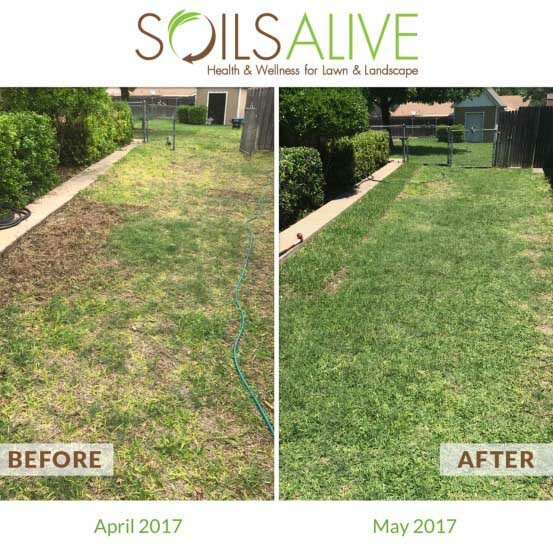 While a vigorous lawn and healthy soil can deter pests and diseases, even well-cared for lawns can succumb to aggressive diseases, more specifically Take-All Root Rot (TARR). 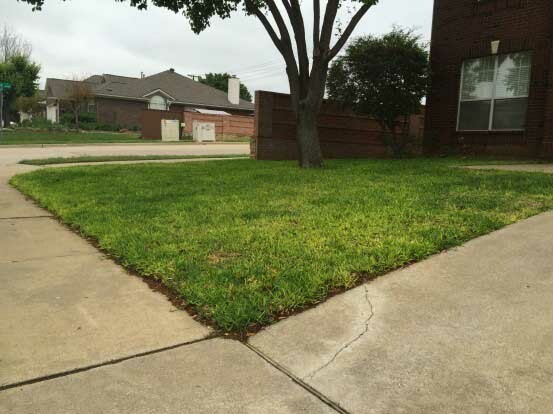 TARR is an aggressive fungal disease that is infecting lawns all across North Texas. The disease is in the soil, not the turf. Therefore, TARR can not be eradicated, only controlled. If TARR is left unchecked, it is liable to cause devastating loss to your turf. While St. Augustine is the most susceptible; Bermudagrass, Zoysiagrass and Centipedegrass can all fall victim to the disease as well. Your grass is slow to emerge in the spring or not greening up at all. There has been significant loss this year in turf that was previously infected with TARR. Check out our recent blog post about the freeze damage. Biggest difference between TARR and general chlorosis: TARR will cause yellowing in your lawn in much less uniform patches. Chlorotic blades quickly fade to brown. Over the past 10 years, trial and error has resulted in a successful, fully organic “kitchen sink” approach at controlling Take-All. Since TARR is a soil-borne fungus, it cannot be eradicated, only controlled. Regular amendments coupled with our Liquid Compost applications really do wonders for managing this disease. It is an ongoing battle that most homeowners are not able to tackle on their own. Don’t be afraid to seek help! If you notice any of the symptoms listed above, please contact a professional lawn care maintenance team to properly diagnose and offer a treatment plan. TARR can be difficult to treat. The best prevention is good lawn care practices year-round including proper watering, fertilizing and mowing. For more detailed information about Take-All Root Rot, visit our Organic Advice section here.